The district Lienz (Osttirol) with the capital Lienz is the largest district in Tyrol and the fourth largest in Austria. 33 communities belong to this area. Most important sectors of economy are trade and tourism. The district of Lienz consists of 33 municipalities, with 48,879 inhabitants (status 1 January 2015). Based on the area of ​​the district with 2019.87 km2, this results in a population density of around 24 inhabitants per km2. East Tyrol is located in an inner alpine position south of the main Alpine peak and covers almost one-sixth of the Tyrolean area. The settlement area is only 8.2% of the total area of ​​the district, while the share of forest (39.6%) and pasture land (32.0%) is above the national average. 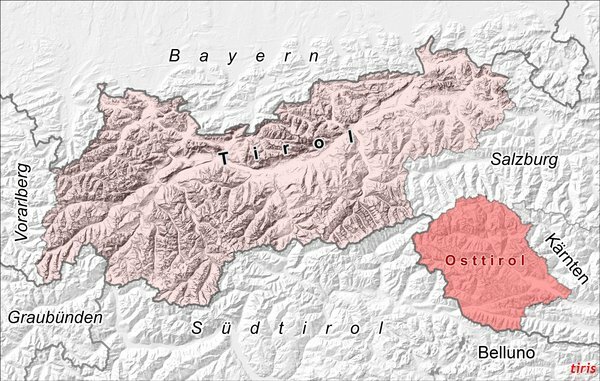 Since the cession of South Tyrol to Italy in 1919, Osttirol has had a special role in the spatial and administrative structure of Tyrol. Together with neighboring municipalities, Lienz is the settling and economic center of the district, with a clear development advantage compared to remote municipalities. Osttirol's very high natural potential (landscape, natural values, resources, water) is one of the greatest strengths of the region. • East Tyrol is surrounded by 3000s; Including the highest mountain in Austria. • 1/3 of the area of ​​the largest national park of Central Europe (National Park Hohe Tauern) is located in East Tyrol. • Osttirol is distinguished by its ecological diversity (high biodiversity due to the high proportion of natural landscape and cultivated landscape). Here you can find the area profil (German) with statistics for this year. 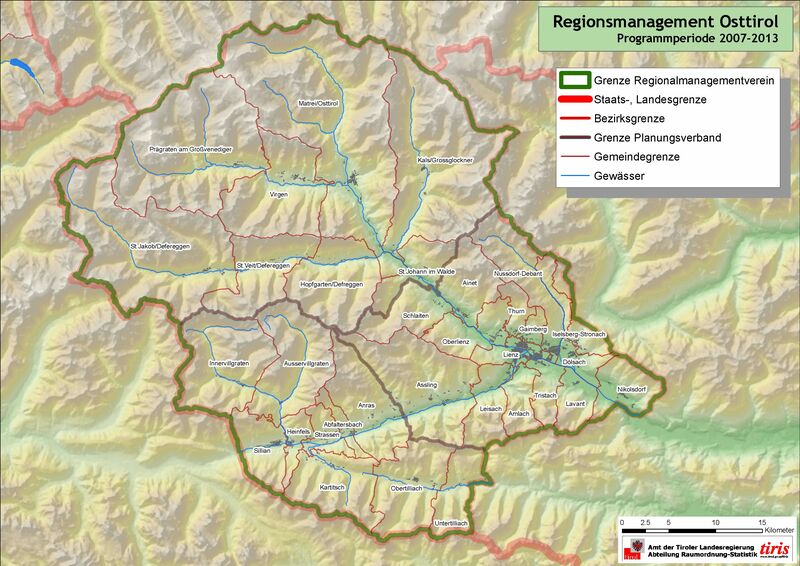 The Local Development Strategy 2014-2020 provides the framework for the work of the Regional Management Department of East Tyrol. Working together on the development of the district is much easier if there are common goals and ways to track. The basis for this was the development of a future image for the district based on the process “Vordenken” coordinated by the RMO. The contents have been coordinated at the best with the contents of the Local Development Strategy 2014-2020 as well as with the cross-border strategy. This is a unique opportunity: to link a future image with a strategy. Am 17. März fand der diesjährige Freiwilligentag in Tirol statt. LINC 2016 in Ungarn – Wir waren dabei! In Finnland fand der 4. Europäische "L.I.N.C. Kongress“ statt. Here you can find a detailed map of the region.